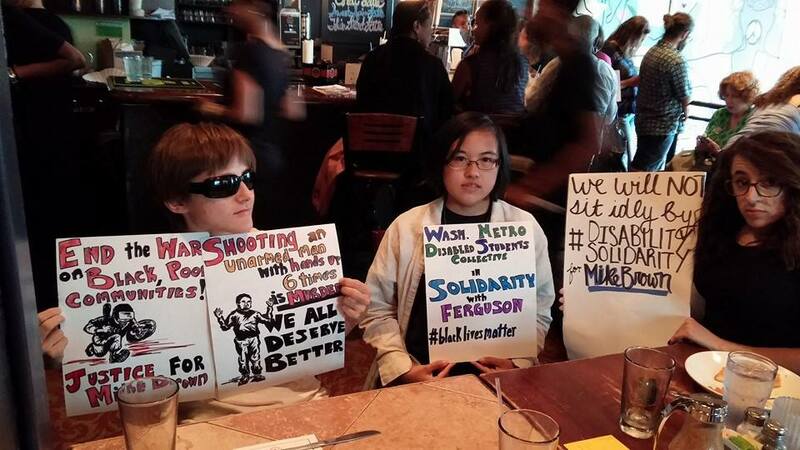 Here are some pictures of WMDSC events and other actions! August 2014 social at Capitol Hill Tandoor & Grill. Board Chair Nai Damato tactiles with Board Trustee LaVonnya Gardner. 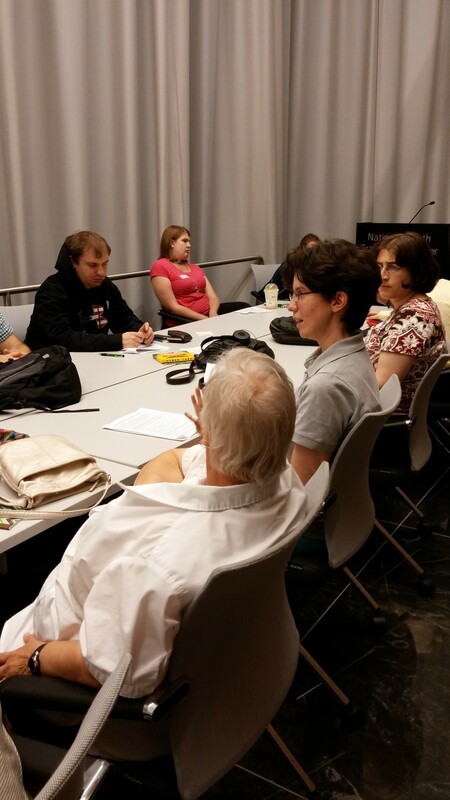 July 2014 Community Forum on Accessible Transportation. 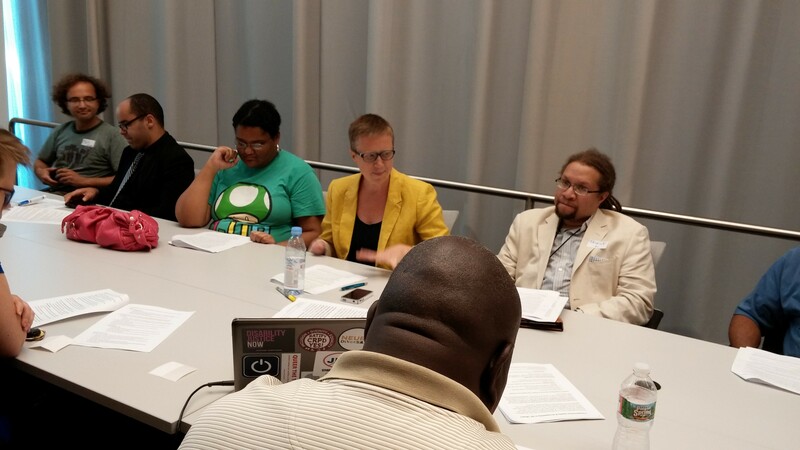 Attendees discuss barriers to access. 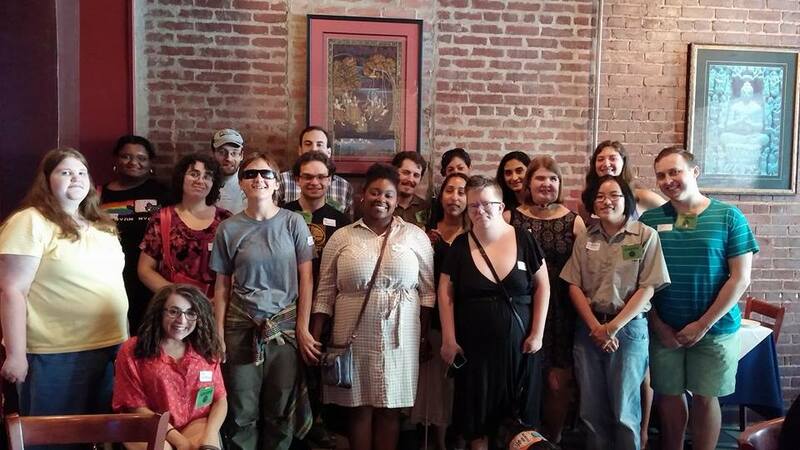 July 2014 Community Forum on Accessible Transportation. Guest speakers Carol Tyson (United Spinal) and Patrick Cokley (US DOL Office of Disability Employment Policy) share their knowledge. Former Project Action! coordinator Ricardo Thornton participates in the discussion. 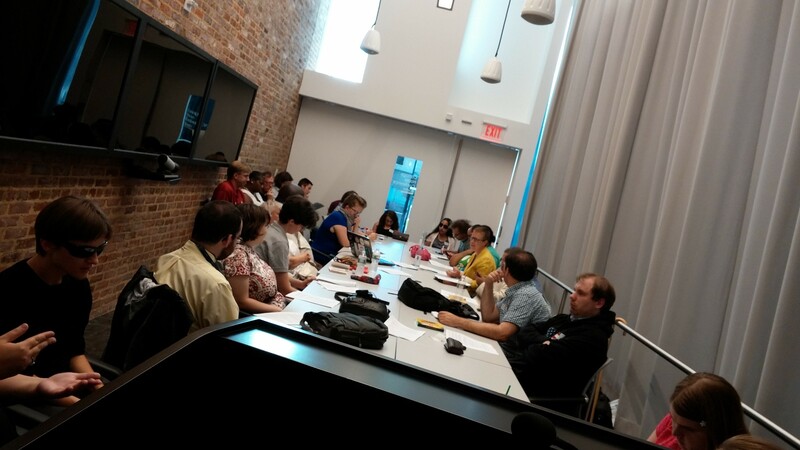 July 2014 Community Forum on Accessible Transportation. 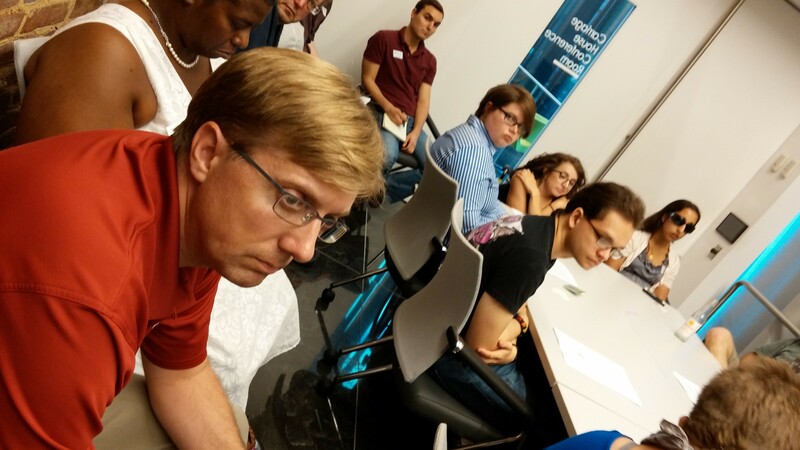 July 2014 Community Forum on Accessible Transportation. A taxicab industry representative joins our discussion. 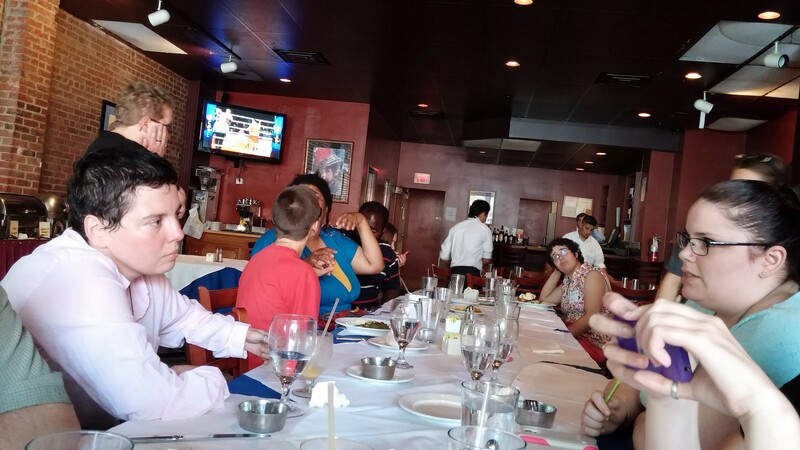 June 2014 social at Capitol Hill Tandoor & Grill. Over twenty attendees with various disabilities smiling for a group photo. June 2014 meeting of WMDSC’s Board of Directors in President Lydia Brown’s apartment.